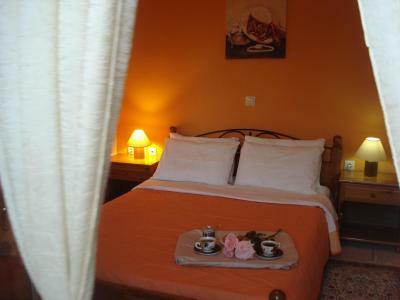 Lock in a great price for Iris – rated 9.2 by recent guests! Maria, such a good host. Lovely breakfast. Only there for 2 nights when visiting Delphi. Quaint little taverns and shops in Arachova. Don't forget to visit the monastery about 27km away when you're there! 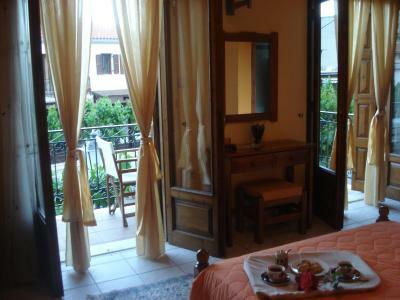 Arachova is absolutely charming place and we were really sorry to stay only one night. Concerning the room, was really spacious, was nice to have a small table and a fridge available, we enjoyed the balcony at night, were delighted with the breakfast. Maria is just a wonderful host. The rooms were spotless with efficient air conditioning , fridges and kettles. Maria baked breakfast treats for us herself. Arachova is 5 mins from Delphi on a perfect road. 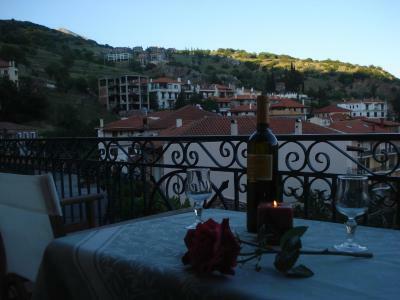 There are plenty of places to eat in Arachova with fabulous views and away from the tourist trap of Delphi. Great value for money and highly recommended. 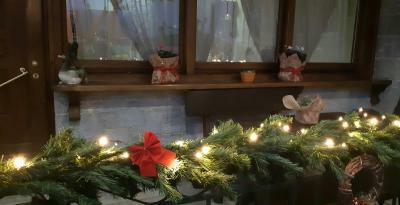 We stayed only one night and had very pleasant experience. The owner is very friendly. The property is extremely clean. 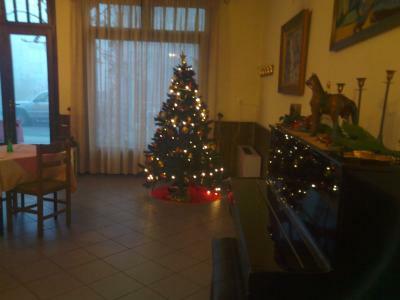 The host was very friendly and the place was extremely clean and well-maintained. The hostess is amazing. Very welcoming! The rooms were nice clean and warm during winter. Nice location everything is close by! She always took care of us even when we had to wake up really early at 7:30, the breakfast was waiting for us! Greek hospitality at its best! Definitely worth it! 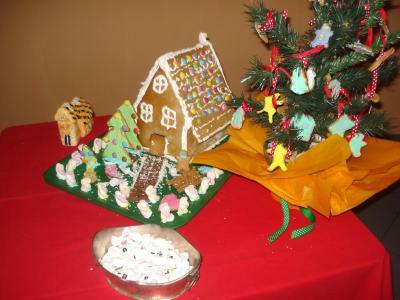 The orner was very helpfull and did everything to please us. The room was big, the bed comfortable and everything was super clean. The breakfast buffet was excellent . Not far from Delphi but much more quiet. 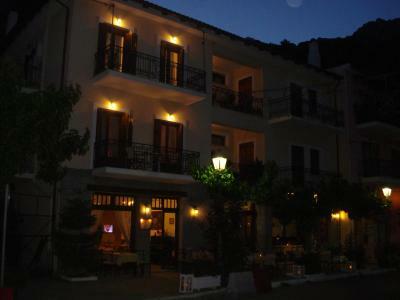 Beautiful place in a marvelous mountain village close to well known Delphi. Nice and friendly housekeeper lady, willing to help and advice (called to bus company to find out time schedules, pointer out closed beach, shared family recipe). Room had all the advertised equipment and panoramatic view from the balcony. Good location. 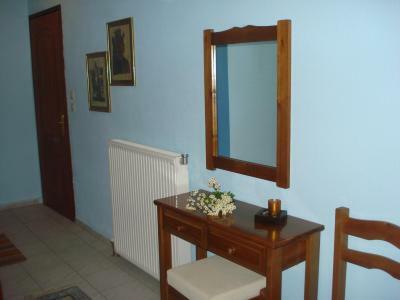 Very good, clean and well equipped rooms. Very kind and warm service. 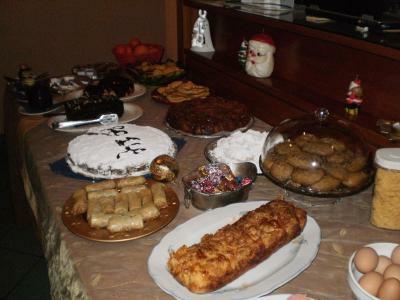 Very nice and tasty homemade breakfast. 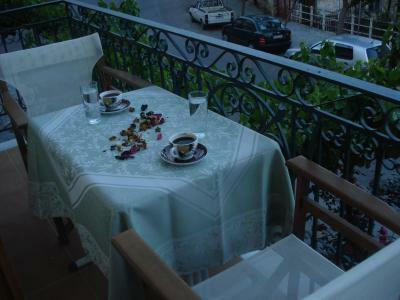 Centrally located in the scenic village of Arachova, Iris offers accommodations with a furnished balcony and free Wi-Fi in public areas. 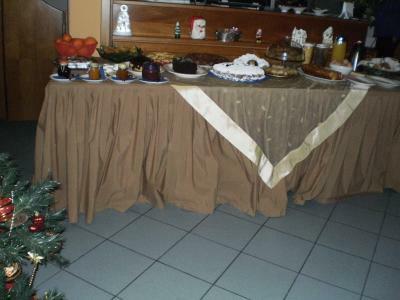 A buffet breakfast is prepared daily, featuring homemade treats. 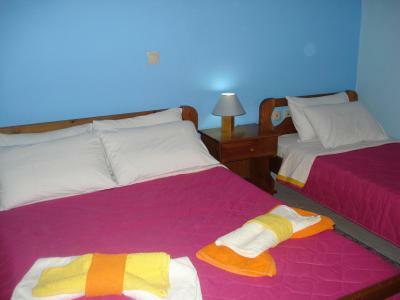 Decorated in bright colors, all rooms include a mini fridge, TV and heating. 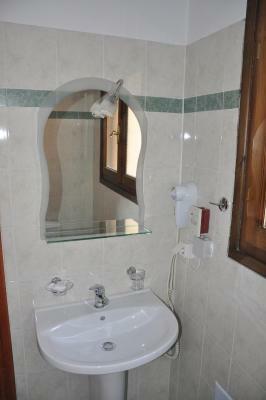 The private bathroom is stocked with a shower, hairdryer and free toiletries. The archaeological site of Delphi is at 5 mi from Iris guest house. 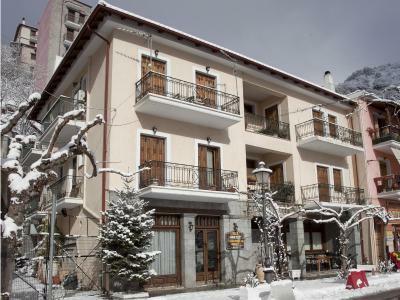 For ski lovers, there is the well-known ski center of Parnassos 16 mi away. The nearest beach is found at a distance of 17 mi. Free parking is possible on site. When would you like to stay at Iris? 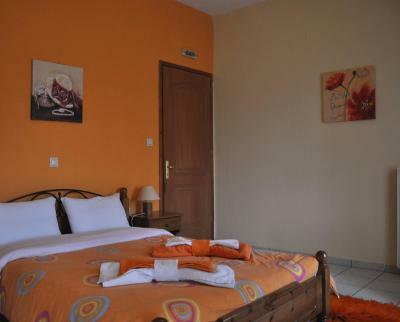 Decorated in bright colors, this room opens to a balcony and includes a mini fridge, TV and heating. 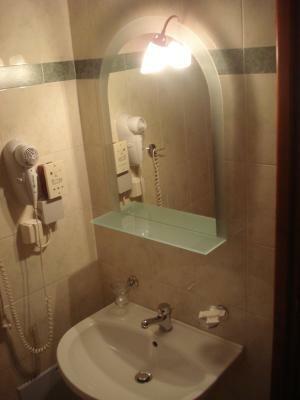 The private bathroom is stocked with a shower and hairdryer. House Rules Iris takes special requests – add in the next step! Iris accepts these cards and reserves the right to temporarily hold an amount prior to arrival. Iris is on the main street of Arachova, and this is important because if you are with a car, it is easy to drive to. Arachova is situated on a mountain slope, and many streets other than the main are rather narrow and steep. Also, it is very handy that Iris has it's own small space for parking, although it's possible to find a place on a main street (at least it was when we stayed). 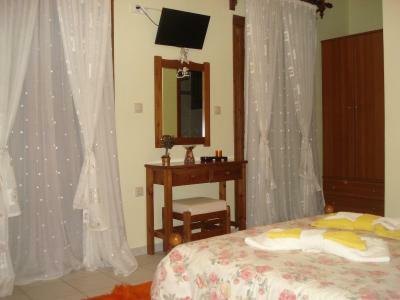 The hotel is comfy and well kept, everything is clean and in order, and the host is very nice and helpful. The breakfast is tasty and filling. The room was with a heating, the bed was comfortable (the mattress was hard, which is good for us). One should be careful with the shower since it's easy to splash water outside of it and get the bathroom floor wet. Our room's windows were facing the main street and there were some noise from it at night, so it may wake up a light sleeper, but it is compensated by a great view. Also, the main street was not so active at night. Iris also have rooms not facing the street as far as I understand. The main street stays at one level, and one can easily go from one edge of Arachova to other in about 15-20 mins by foot. The is a small Spar supermarket if you go for about 10-15 mins along the main road in the direction of Delphi, and we easily walked there and back. 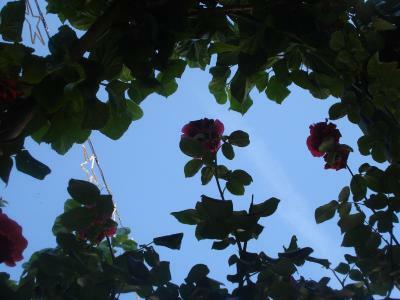 We went to Arachova on a car and visited Parnassos region, Delphi, monastery of Hosios Loukas and nearby seaside towns. Is was very convenient to drive to all of these places. 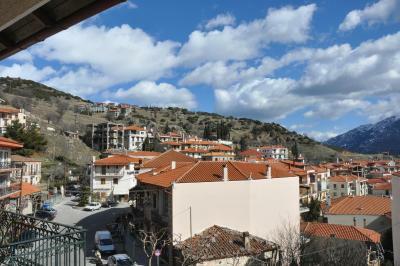 Also, Arachova is a beautiful mountain town by itself, very picturesque and cozy. If you drive to/from Athens, consider to stop at Krya springs in Livadia. Sleeping with open windows allows street noise to enter, can be cumbersome if you are a light sleeper. After 3 weeks, we het used of the small showers in Greece. Everything else was perfect. Cold. It is 900 metres above sea level. Quiet town. Rustic shops and streets. WiFi repeater for higher floors mostly didnt work. The WiFi upstairs did not really work, but was fine downstairs. Staff were very friendly accommodation very comfortable for the price.